Question: Why do insurance agencies keep prospecting for new business the way they do? Answer: Because it’s the way their agency has ALWAYS done it! For those of us somewhat unfamiliar with this concept, it is called the Status Quo. 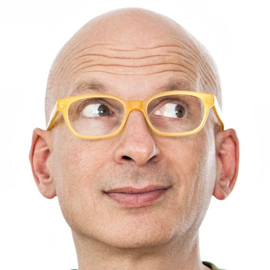 The remarkable Seth Godin wrote a best-selling book called Tribes, in which he frequently discusses the idea of the status quo. In his article Top Ways To Defend The Status Quo, he gives 17 statements which assist us in answering the question about whether we are leading, following, or defending the present system. Here are just a few that I think are interesting for insurance agents when it comes to Quoting versus Broker of Record Letters. PS: Targeting the Broker of Record Letter is the fastest, smartest, most ethical approach to building a $1,000,000 Book of Business!